Happy New Year, everybody! 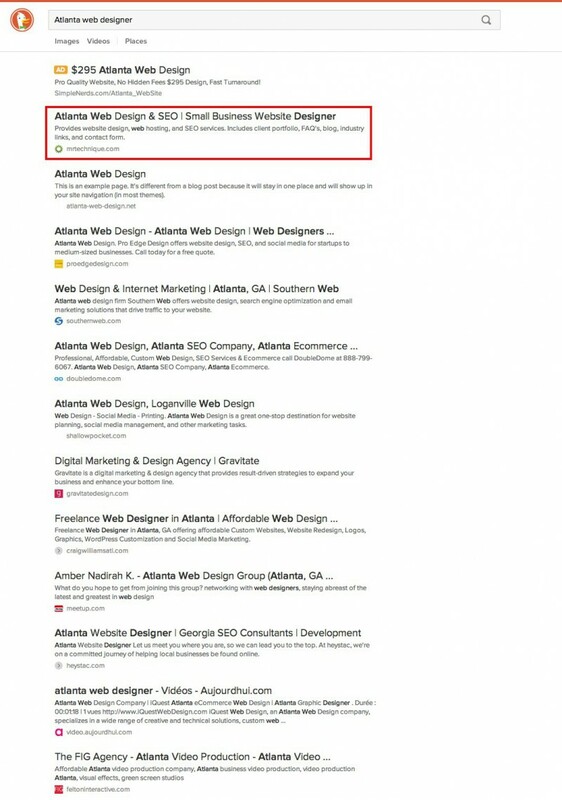 2014 is over with and we wanted to show you our results and give you a summary of what we did to get to the top of Google for Atlanta web design related keywords. The journey was a fun one, and we’ve seen our website inquiries go from non-existent to more than abundant. 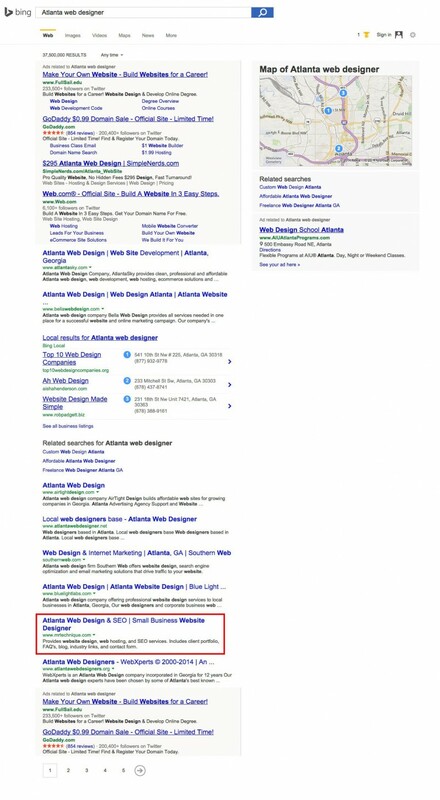 In the process, we not only became found on the first page of Google, but we’re now found on the first page on other major search engines as well for several Atlanta web design related search terms. Take a look at the screenshots below. we marked our website’s position with a red outline. Click on any of the screenshots to see a larger version. Submitted Mr. Technique to Human Edited Directories – we listed a few reputable directories in previous blog posts and on the Mr. Technique SEO resources page. Searched for Backlink Sources – There are a few ways to do this. We found backlinks by using Alexa’s link checker and using the * operator on Google. Some backlink sources were free directories that we could submit Mr. Technique to and some were paid directories. Set Up Company Profiles for Local Business Directories – Yelp, Kudzu, and Angie’s List come to mind, but there are many more like MerchantCircle and Judy’s Book to name a few. Optimized the Title Tag Text – Title tag content is extremely important to search engines. Make sure that you have relevant keywords showing in your title tags. Added Blog Posts Regularly– Think less about selling to your audience and more about providing advice. We haven’t sold you one time in this blog post. Blogging will keep your website fresh, and search engines love fresh content. By providing advice, you provide something that is worth linking to or sharing. Commented on Blogs – Just like the item above, you’re not selling anything in your comments. You should be providing value. We receive daily newsletters that link to the full story in a blog post. In most comment sections on blog posts, there’s a spot where you can add your website URL. Manta has a blog which provides advice for small business owners. We comment on it pretty regularly. Registered My Domain Name for at Least 5 Years – We actually registered it for more than that. 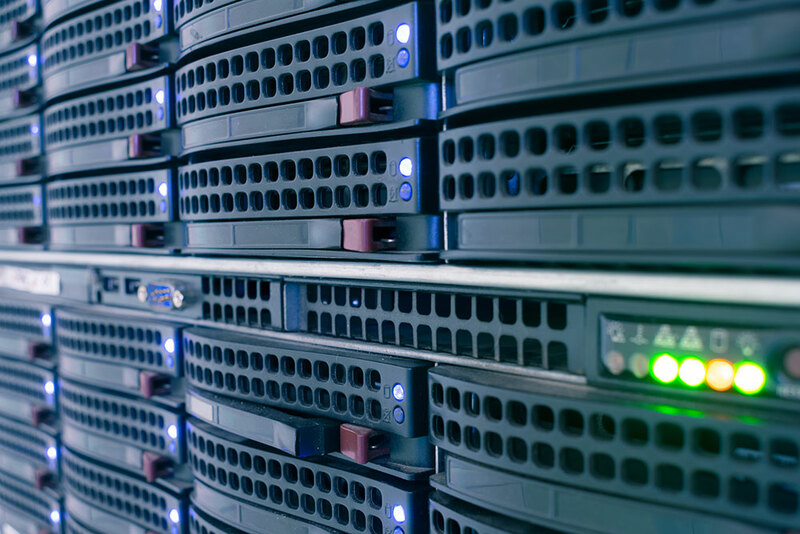 There’s a database called a WHOIS database that can be accessed by anyone that shows how long a domain name is registered for. Let’s say you were a search engine, and you were looking at two companies. If Company A had a domain name that was going to expire in two weeks, and Company B had a domain name that was going to expire 5 years from now, which company would you pick to be around for the long haul? If you say Company A, stop reading this blog post because I know nothing. Stayed Active on Company Social Media Pages – Facebook, Twitter, Google Plus, Pinterest, Instagram, etc. The list is growing. We maintain a pretty active profile on all of them, and we do this for clients as well. Check out our list of social media pages if you don’t know where to start. We comment on people’s posts as well as provide advice with a link to an informative blog post on our company website. We’re social on social media so to speak. Get Some Press – If you blog and participate on social media pages enough, somebody may want to interview you and put it on their blog. It’s a win-win situation. You give them content for a blog post, and you get publicity. Coming up with original content is time consuming. Back to the subject at hand, We met the top Atlanta SEO Expert, Jenny Munn, at a WordCamp, and we kept in touch with her even after the event was over with through social media, phone, and email. We ran our mouths enough on social media about how our search engine rankings have improved, and Jenny took notice. She gave us an interview and put it on a blog post (read it here). We’re truly thankful that an expert like her wanted to interview us. In addition to the interview with Jenny, we were featured as a top Atlanta web designer by UpCity and had our opinions published by entrepreneur.com. It all goes back to providing value on your website. Submit a Testimonial for a Vendor – This is big especially if the vendor is popular in your industry. We submitted a guest blog post to ElegantThemes on how their themes helped us get to the 1st page on Google for Atlanta web design related phrases, and we’re still reaping the benefits of the blog post. The links were nofollow, but we don’t really care. Mr. Technique gets twice as much traffic now because of that blog post. We get a few inquiries from other countries now. Made the Mr. Technique Website Mobile Friendly – This is a must do. Doing this didn’t increase my visits, but it did increase our conversion rate. 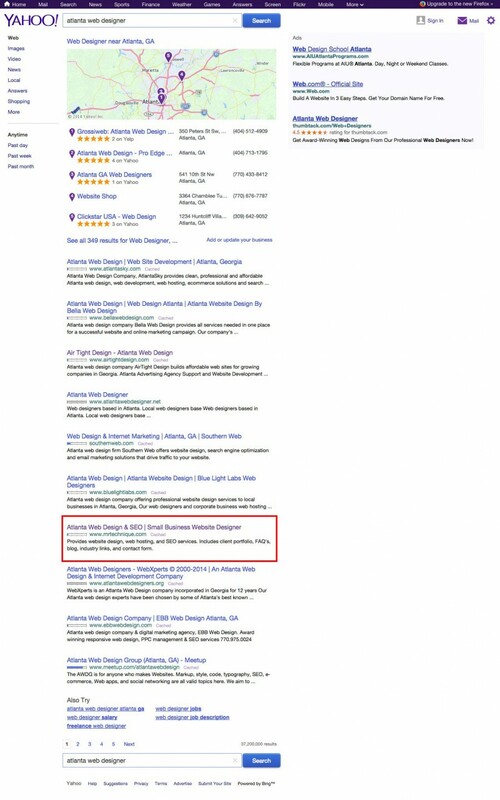 Google is now showing in its SERPs if the website is mobile friendly or not. We discussed the benefits of this in week 31 of our journey. Interlinked Pages – See the links in this blog post? That’s interlinking. Nuff said. Read more about it here. Thanks for pointing me to your blog. Your SEO journey has been fascinating to read, and I’ve picked up some really useful tips. I’m going to start implementing some of the easier ones like setting up a Google Page. Glad you found the blog post useful, and thanks for reading my blog. Feel free to ask many questions pertaining to SEO for your website. Tom, thanks for documenting your journey so clearly. I’m in the middle of redoing my site and want to focus more on local SEO for both myself and my clients. This is a great blueprint! Thanks, Flo. I’d love to see your results when you’re done, but then again, you’re never done with web design or SEO.